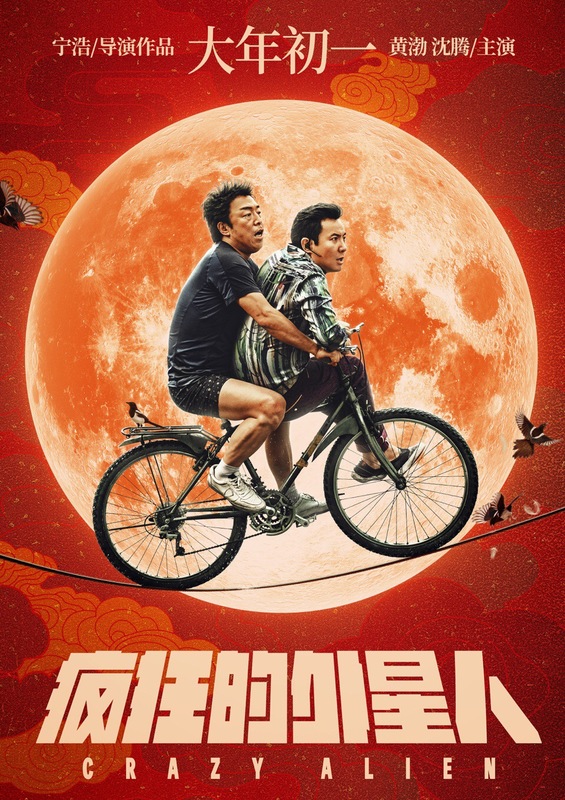 Crazy Alien is an upcoming black comedy starring Huang Bo as Geng Hao, a monkey trainer whose act goes wrong after an alien crash lands on Earth and injures his monkey. Desperate to perform the act, he attempts to train the alien instead, though is punished after the alien regains his powers. The alien’s plans to return home are complicated by American scientists searching for alien life and Dafei’s (Shen Teng) desire to make some traditional medicated liquor. Lei Jiayin costars as a policeman. Ning Hao’s new film is scheduled for a February 5th release. This entry was posted in Mainland China and tagged Crazy Alien, Huang Bo, Lei Jiayin, Ning Hao, Shen Teng by XDramasX. Bookmark the permalink.